One day the Admiral walks into Rosemary’s Bazaar and discovers love at first sight when meeting Rosemary. Falling in love with his partner’s daughter inspires the Admiral to instantaneously see the light and put his past behind him. It is the Admiral, rather than Joe, who undergoes conversion. After spying Rosemary preparing for her impending wedding, Joe discovers the truth. He succumbs to an unsettling rivalry for his daughter and is furiously determined to put a stop to the union. Joe goes to Fr. James, insisting that the Admiral, like himself, is too defiled, too corrupt. The priest tires to assure Joe that the Admiral’s about face is genuine; he’s been converted by love. In a rage, Joe attempts to strangle his brother. A reel or so is missing here and next we find out that, somehow, Joe has shanghaied the wedding, kidnapped the Admiral, and is bound for the seven seas. Searching for her missing lover, Rosemary arrives at Joe’s brothel, but she is lured upstairs by Charlie Wing. Joe arrives in time to stop Charlie from having his way with Rosemary, but the Admiral also arrives and a knife fight ensues, during which Rosemary stabs her father. Mortally wounded, Joe blocks Wing’s way and urges the Admiral to take Rosemary away to the seraphic life. Fr. James arrives in time to give Joe the last rites. The Road to Mandalay is depraved, pop-Freudian, silent melodrama at its ripest. Fortunately, both Browning and Chaney approach this hodgepodge of silliness in dead earnest. 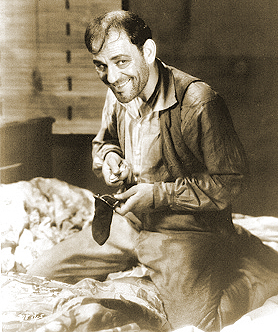 Chaney is simultaneously cocky, parental, disturbingly coarse, and leering, projecting pathos and machismo. His Oedipal wailing, when his daughter tells Joe that she hates the mysterious father who has abandoned her, is classic. Browning, as was typical, idiosyncratically mixes melodramatic hi-jinks with exotic locales and strong actors. 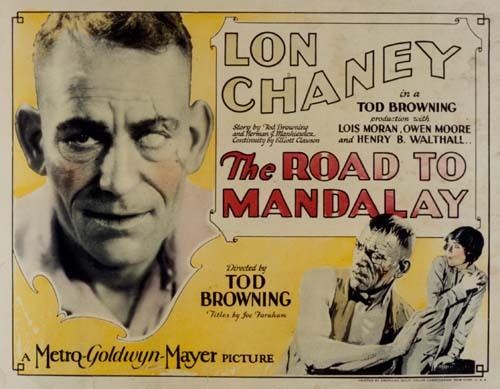 Unfortunately, The Road to Mandalay is in such dissipated state that it makes for burdensome, strained viewing. The only known print is a 16 mm abridged version, which was discovered in France in the 1980s. 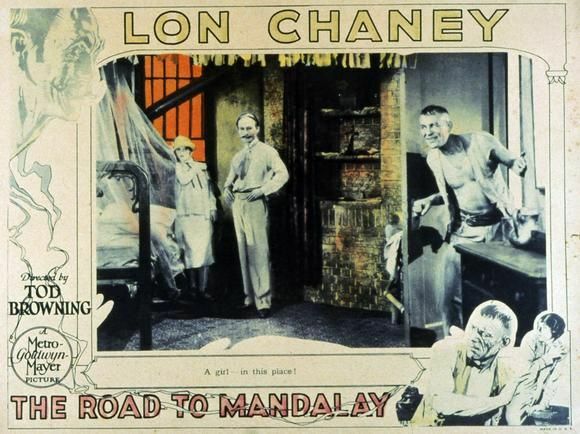 Even in its abridged state, The Road to Mandalay is intoxicating, outrageous silent cinema melodrama, badly in need of restoration. 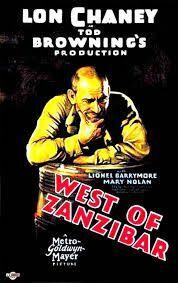 West of Zanzibar (1928) is also missing footage, but, unlike The Road to Mandalay, it is in much more viewable state. Enough of the film remains intact,so as not to appear too fragmentary. 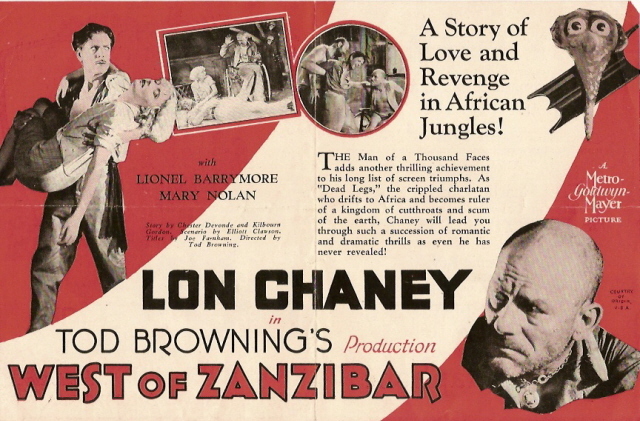 Originally tilted Kongo, West of Zanzibar is the most flagrant, delightfully vile of the Browning/Chaney Oedipal absurdities. Chaney plays Phroso. 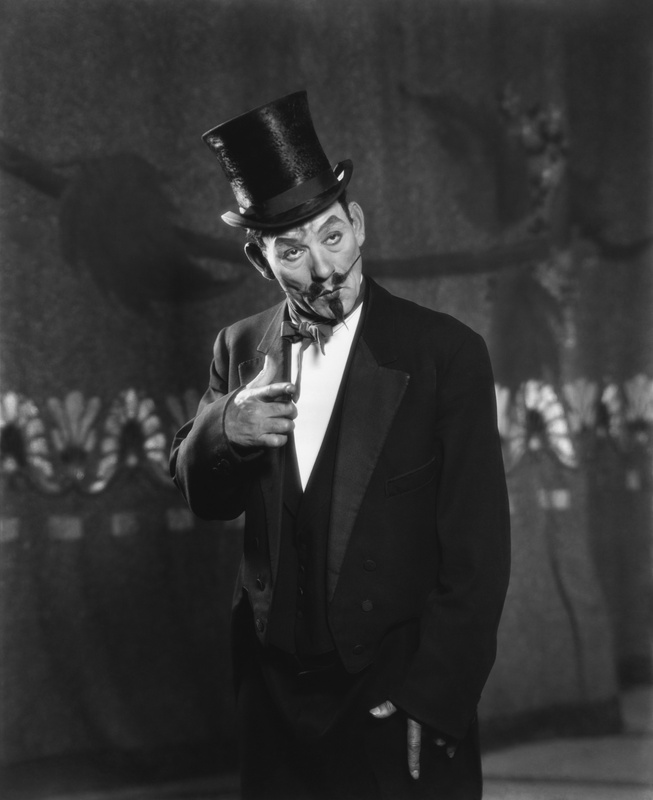 Phroso is married to Anna (Jacqueline Gadsden) and together they work in a Limehouse music hall as a magic act (in the early scenes as the magician, the protean Chaney gives a remarkable, Chaplin-like performance). Behind Phroso’s back, Anna is carrying on an affair with Crane (Lionel Barrymore). When Phroso and Crane inevitably fight over Anna, Phroso falls from a great height, forever crippling himself. After a short time has passed, Phroso is told that his wife has returned to town, with a baby, and is in the local church. The dead-legged Phroso zips down to the church via scooter and crawls into the tabernacle, only to find his wife, with crying babe in arms, collapsed in death, at the feet of a Madonna and child statue. Phroso looks at the baby girl, then at the Madonna, and vows revenge on Crane and the infant. 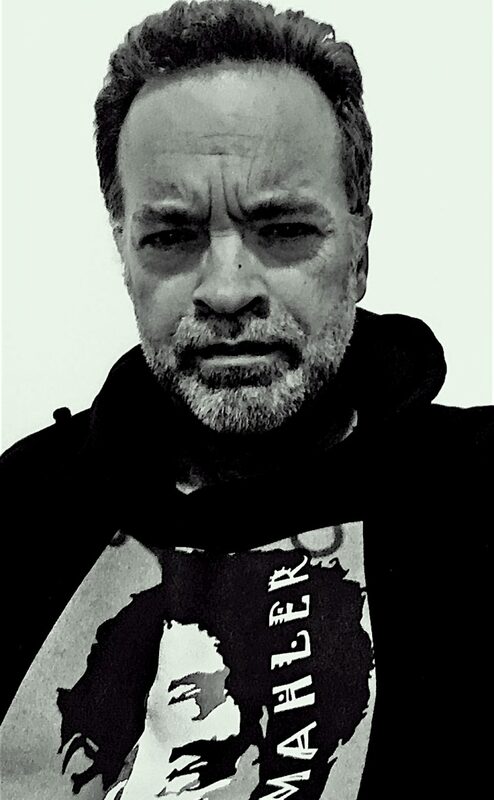 Twenty years later, Phroso re-emerges as “Dead Legs”: a witch doctor and trader, lording over a swamp in Africa, utilizing his cheap parlor tricks to keep the local cannibals in submission. Dead Legs is under the care of the derelict, alcoholic Doc (Warner Baxter) and an assortment of unsavory characters. Using the natives, Dead Legs steals ivory from his nemesis, Crane. It’s all part of a twenty year grand scheme for ultimate revenge. Dead Legs summons Maisie (the beautiful, tragic, and short-lived Mary Nolan). Maisie is the now grown infant, whom Phroso believes to be the child of Anna and Crane. During the past twenty years, Maisie was placed, by Phroso, in the surroundings of a seedy bar in Zanzibar. Naturally, Maisie has become a tragic and loose alcoholic. In the original script, Maisie was placed in a brothel and raised as a debauched prostitute who contracts syphilis. However, producer Irving Thalberg predictably insisted this be softened somewhat in the film, which only lowers the film’s sleaze level from ten to about a nine and a half. Dead Legs instructs the tribesmen to inform Crane that it is he, their master, who has been stealing the ivory. 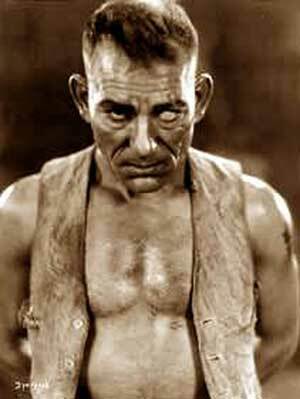 Of course, this kind of grimy silent era melodrama insists on throwing a monkey wrench or two into the scheme, complications Browning delivers in spades. Doc falls in love with Maisie and finds himself at odds with Dead Legs torturous treatment of the girl, who has recently sworn to kick the bottle. Nolan excels in the scene in which her paralyzed father descends from his wheel chair, slithering towards her. She is simultaneously petrified and optimistic, but Dead Legs drives her back to the brink of brandied insanity. Enter Crane, who sadistically reveals to Dead Legs the terrible secret that Maisie is Phroso’s daughter, not Crane’s. 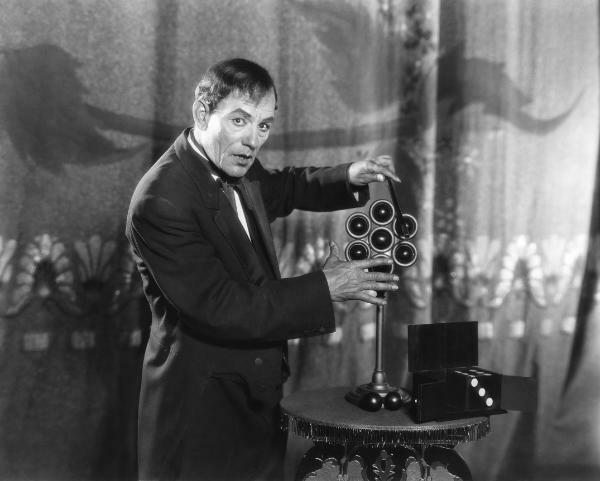 It’s cornball, grotesque spectacle that Chaney and Browning treat as austere entertainment. Crane is shot and killed by the natives. It is tribal custom to burn alive a female relative of a dead male. The natives had previously been told that Maisie was the daughter of Crane and they demand that the sacrificial custom be carried out. Dead Legs must now make amends for his terrible mistake and hopes he has one last parlor trick up his sleeve to save his daughter and Doc. As Dead Legs, Chaney delivers an amazing, masochistic, emotionally high-octane, and downright creepy performance. He writhes his way through most of the film, contorting his body with gleeful abandon. 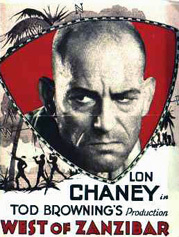 Chaney was a master of pantomime expression, learned from years of communicating with his deaf-mute parents. 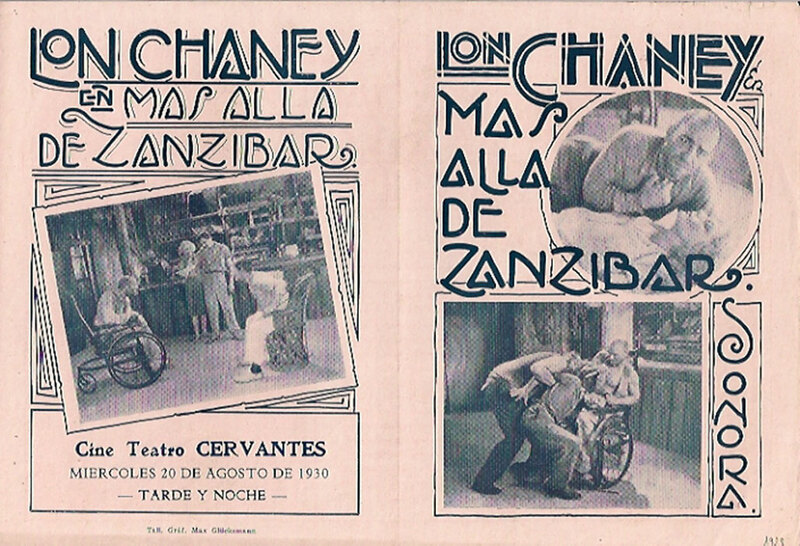 Chaney communicated best with those who shared his penchant for what others consider macabre. 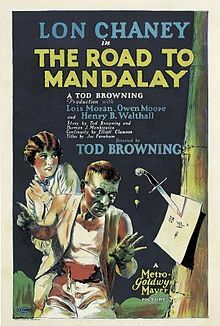 His wife had previously been married to a legless man and his preeminent director, Tod Browning, ran way from home to join the carnival, supposedly having had at least one affair with a freak. 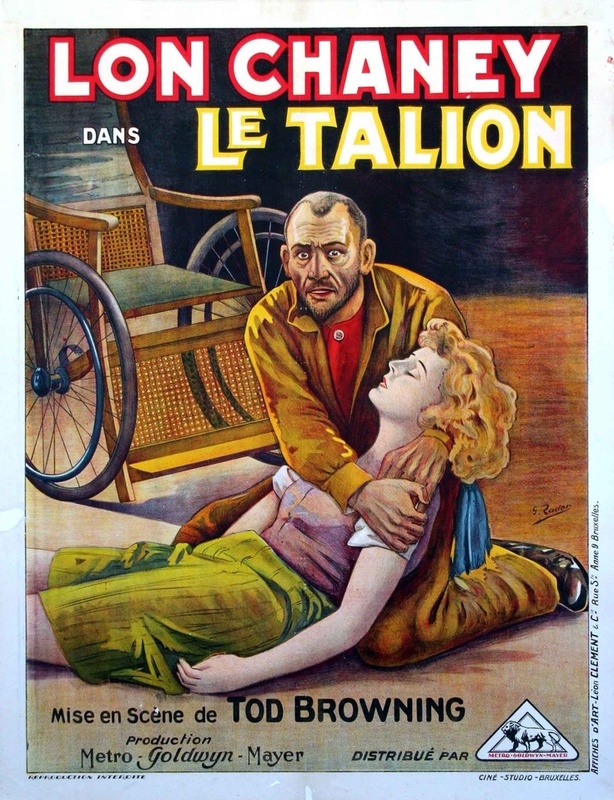 In many of his films, Browning depicted men paralyzed from the waist down, and later, in Freaks (1932), utilized actual legless freaks. 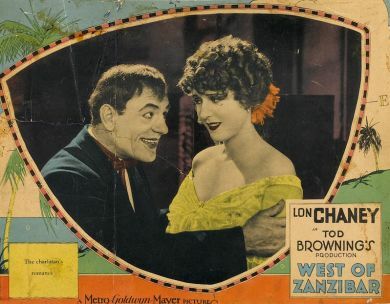 Together, Browning and Chaney acted out of the darkest recesses of their psyche in the silent era’s most manic productions, and they did it with authentic devotion. This entry was posted in BLUEMAHLER'S WORLD OF SILENT CINEMA, Film Reviews and tagged Irving Thalberg, Jacqueline Gadsden, Lionel Barrymore, Lon Chaney, Mary Nolan, Owen Moore, silent film, Tod Browning, Warner Baxter by Alfred Eaker. Bookmark the permalink. 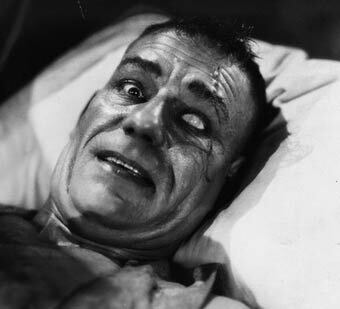 Chaney’s “dead eye” for Singapore Joe was not done with egg whites – he had special glass eye shields made by an LA optometrist who specialized in glass eyes. These eye shields still exist in Chaney’s makeup case, in the posssesion of the LA County Natural History Museum. Paul, thanks for correcting my source. Will have to make a field trip to see that as I will be in L.A. in 6 months.